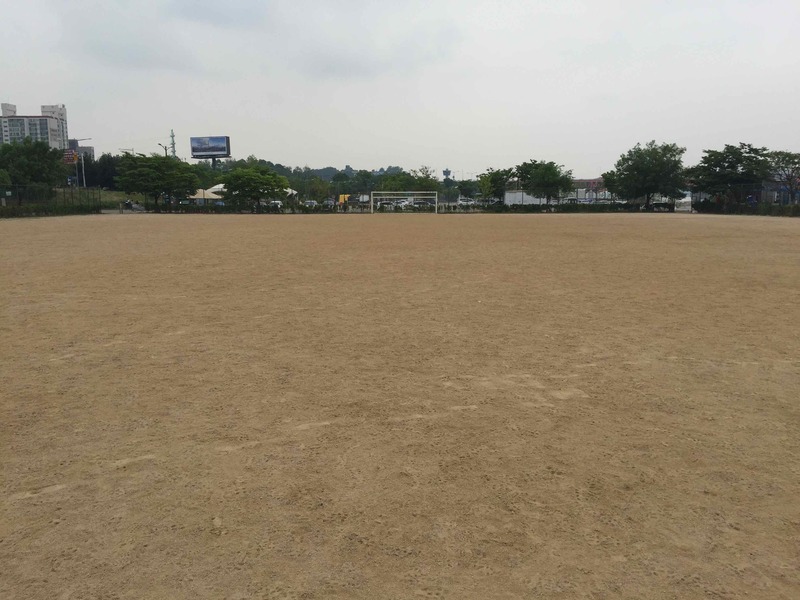 You know those times when you are looking for a nice plot of dirt to kick the soccer ball around on? You know those times when you want that plot of dirt to be next to a river? You know those times when you want that river to be in Seoul? 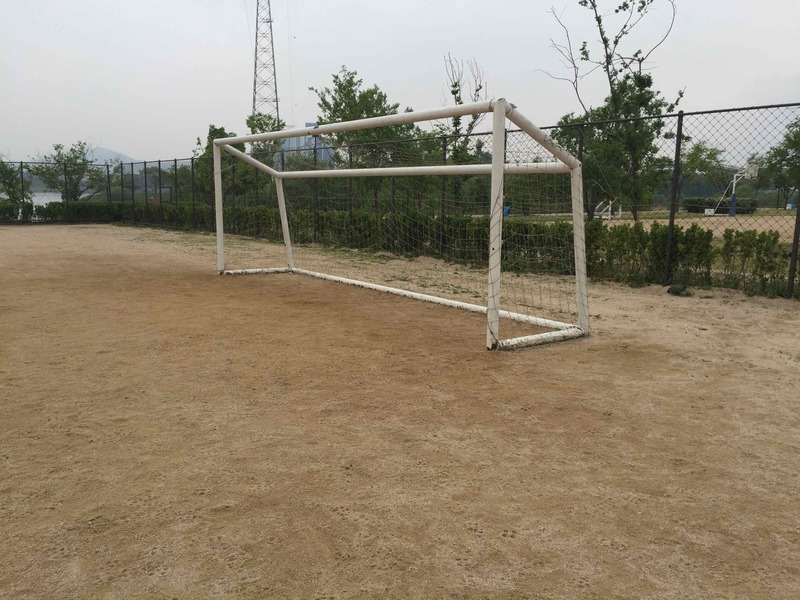 Fortunately, your soccer-on-a-dirt-field-next-to-a-river-in-Seoul dreams can be fulfilled with a trip to Yanghwa Hangang Park. Dirt. A bit of gravel and rock mixed in for good measure. It's definitely not a soccer field. 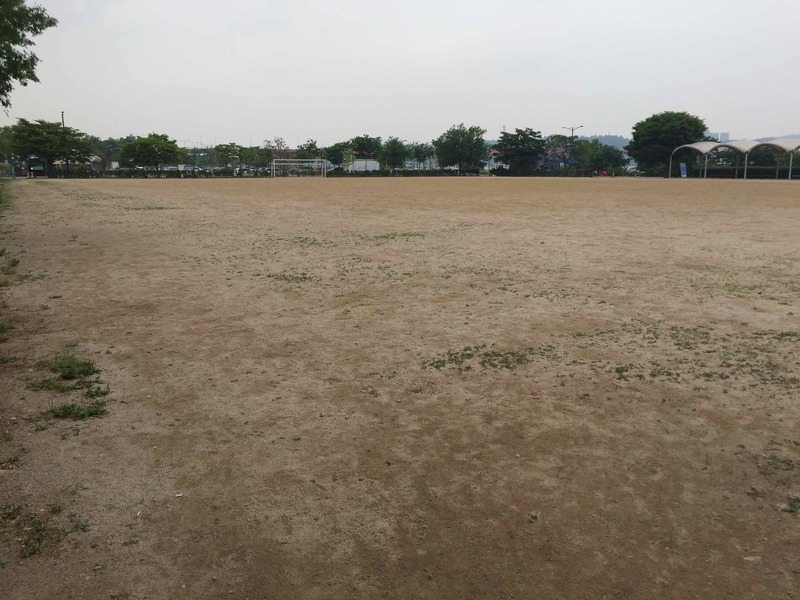 But it is a field soccer can be played on. 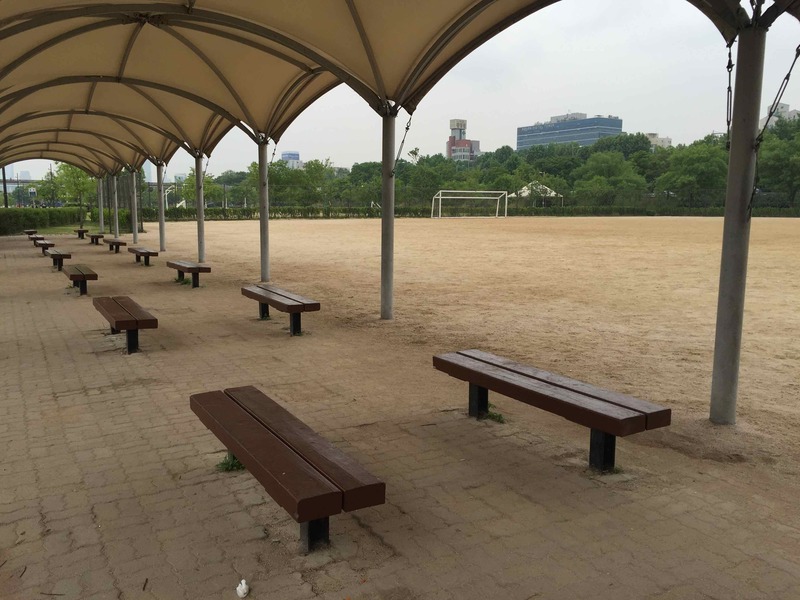 -Benches under a canopy on one side of the field. 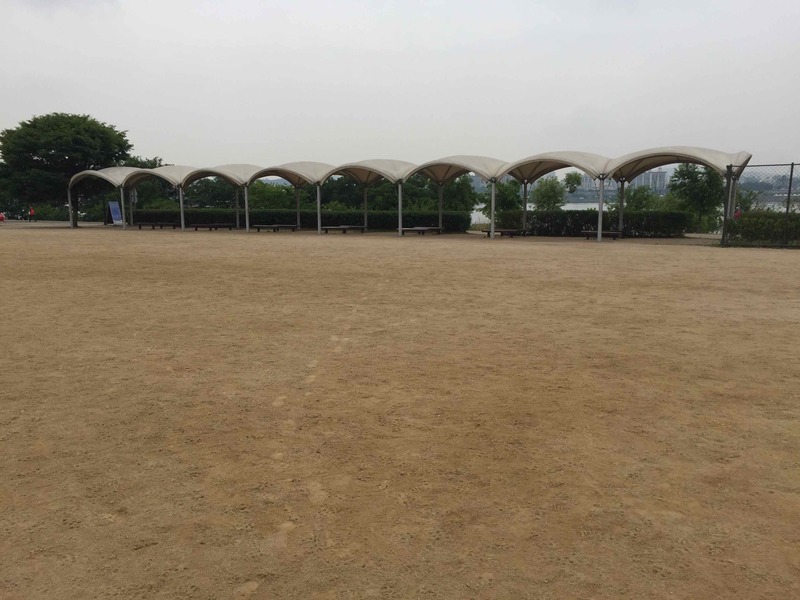 -The Han River is nearby. -It just ain't that good of a field. -Don't go for a slide tackle and don't try a slide tackle. It will only lead to pain. 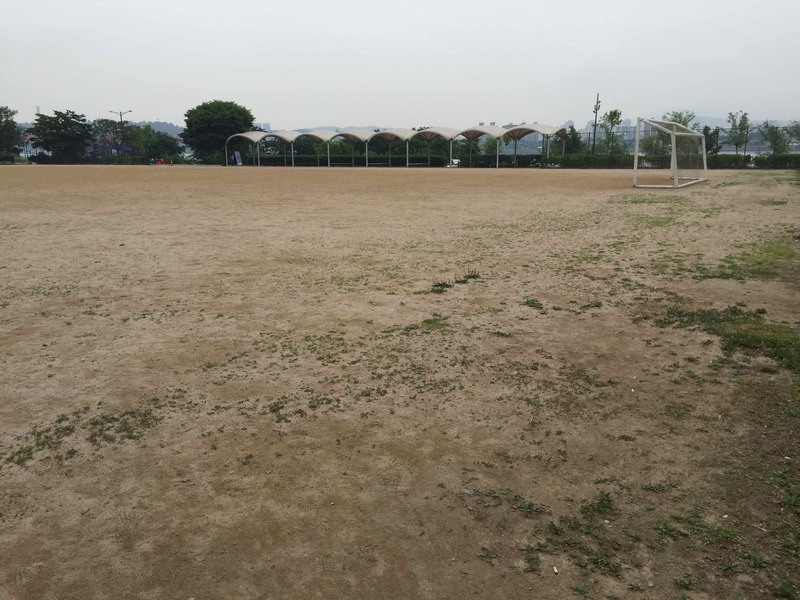 It seems like the only reasons Yanghwa Hangang Park has this soccer field is so that they can proclaim: "Hey, we have a soccer field." It isn't that nice. 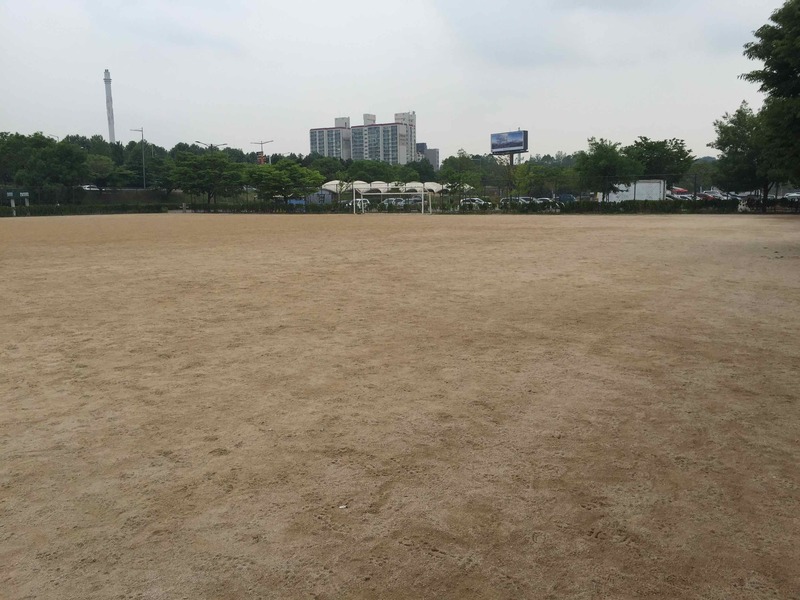 There are much better places to play elsewhere in Seoul.